Michael Curry has has been an Eklutna, Inc. Board member where he has held the various positions of Chairman, President and Vice-President since 1990. With the establishment of Eklutna Services, LLC., which recently graduated from its 8(a) government certification, he held the position of Vice President and Board member. 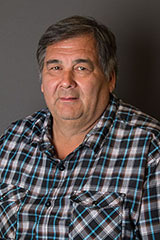 Michael has also sat on the Knakanan Board of Directors as President, a Board member of Eklutna Utilities Inc., and has held the positions of President and Vice President for Ikluat, Incorporated. Michael has been self employed since 1982, where Little Bear Construction focuses on site excavation and other earth work. He has been responsible for directing corporate strategy, planning and research, raising capital, insurance and bonding, managing legal, regulatory, administrative, financial, recruitment and human resources. He has also worked on and coordinated projects with civil, structural, environmental engineering and architectural firms, contractors, planners, contract administrators, developers, and others who understand the different professional perspectives held in construction projects and documents. His experience is also in environmental permitting, regulatory compliance, governmental affairs, agency coordination, project development services, planning, zoning and community developmental procedures from being on various committees and has worked with the Federal and State governmental procurement guidelines and the contracting process. Michael is a member of the NALA Executive Committee, the 12(b) Committee and CIRI Sand & Gravel Committee. He also is a member of Municipality of Anchorage committees, Long-Range Transportation Plan Committee and the Eagle River Comprehensive Plan Committee. Michael is the Chairman of the Powder Reserve Master Association. Born December 28, 1954 in Palmer, Alaska, Lee Stephan attended Chugiak Elementary and Chugiak, West and Galena High Schools while obtaining a general education diploma in 1974. He also attended a vocational school in Kenai to become a certified Marine Deck-hand. Lee tried his hand at corporate board service first time in 1982, lasting one term. After gaining a little more knowledge and experience, he returned to serve the Shareholders of Eklutna, Inc. from 1984-2007, a total of 26 consecutive years of selfless service. 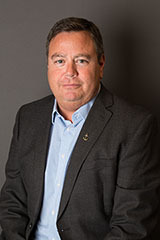 Besides being a Board Member, he has held the Board officer posts of Treasurer, Vice-President, and President and held the position of interim Chief Executive Officer from November 2005 to May 2006. He was re-elected to the Board at the 2011 Annual Shareholders Meeting and currently holds the position of Corporate Vice President & Secretary. 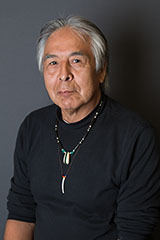 From 1986 to 1988, he attempted to secure an Associates degree in business administration from Alaska Pacific University and later University of Alaska, but due to the shear volume of responsibilities, family of four children and a wife, work as the Corporation vice-president, and later tribal administrator for NVE, he surrendered his chance at a degree to service the people. In 1991, he began his career as Tribal Administrator and later titled Chief Executive Officer, to the 1984 reactivated tribal government of the Native Village of Eklutna. In that capacity, Lee served 264 tribal members until May 2006. Lee was appointed to the Rural Governance Commission in 1998-99, during the Tony Knowles administration. He saw through to the completion of what was named the Millennium Agreement, which was signed between tribes and the State of Alaska. 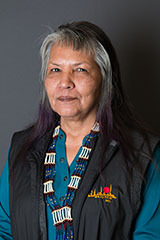 Lee served on the Alaska Federation of Natives Board of Directors; Alaska Inter-Tribal Council; Alaska Native Health Board; Alaska Tribal Health Consortium Board and as an alternate on behalf of AITC on the Rural-Cap board. 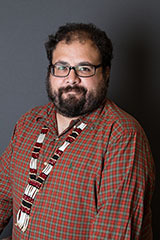 On behalf of the Native Village of Eklutna, he secured them a seat at the Alaska Tribal Health Compact negotiations with the Indian Health Services in which NVE became one of only two actual tribes, of the thirteen Health Compact co-signer of Alaska, taking over management of the Alaska Native Health Care system. Mr. Stephan enjoys his time with is grandson Jordon Lee Wilde-Stephan and granddaughter Hailee Marie Adams at his home in Eklutna Village, Alaska, as well as attending to his subsistence lifestyle of hunting and fishing. Aaron Leggett was born and raised in Anchorage, Alaska and is a member of the Eklutna tribe of Dena’ina Athabascans. He currently serves as curator of Alaska History and Culture at the Anchorage Museum and was co-curator of Dena’inaq’ Huch’ulyeshi: The Dena’ina Way of Living – the first ever major exhibition on Dena’ina Athabascan culture – and co-editor of the exhibition’s catalog. Aaron also serves as an advisor to the Alaska office of the Smithsonian Arctic Studies Center. He made extensive contributions to the Center’s Living Our Cultures exhibition at the Anchorage Museum and authored a chapter for the exhibit catalog. Prior to his work at the Anchorage Museum, Aaron was the Dena’ina cultural historian for the Alaska Native Heritage Center from 2006-2011 and assistant historian for Cook Inlet Region Inc. from 2003 to 2006. He received his BA in anthropology from the University of Alaska Anchorage in 2006. Aaron has served as treasurer for the Native Village of Eklutna since 2007 and is a member of the board of directors for the Cook Inlet Historical Society and the Alaska Historical Society. Copper Valley School Association Board Vice President, 2012 to 2013; President 2014 to Present. Maria is Vice President and Secretary of the Powder Ridge Master Association, Representative on the AFN Village Corporations group; and serves on 12(b) Land Selections, NALA Executive, and Scholarship committees within Eklutna, Inc.
Maria gained valuable experience while volunteering in classrooms and serving on Alaska Migrant Education Statewide Advisory Council, Cooperative Extension Service Advisory Council; and various environmental boards for Eklutna Village. Mayor Begich appointed Maria to the Municipality of Anchorage Mt. Baldy Committee, and she served on the Cultural Advisory Group for Dena’ina Center. In the past few years, Maria has worked with her grandchildren to perform Dena’ina songs at public events. Maria, daughter to Elizabeth Mills, is a granddaughter and great-granddaughter of the honoured Ezi Chiefs of Eklutna and Matanuska. She was one of ten children adopted by Herlee and Rita Stineburg of Palmer, Alaska, and grew up proud to have two moms. Five biological daughters have given her 15 grandchildren. Maria also has numerous “Spirit Children,” youth who claim her and belong. Kim Zello is currently a Board of Director and has served on the Board of Director’s at Eklutna, Inc. for over 25 years. She has a degree in Management Science from Alaska Pacific University, and has served in various capacities as President, Vice President, Secretary and Treasurer. Kim has American Management Association Certifications in Executive Leadership, Negotiating to Win, Communication, and The Seven Habits of Highly Effective People. Kim earned a Certification in Computerized Accounting from Charter College in 2011. She has served as a Board Member of Fallen Up Ministries 501 (C) 3 since 2015. Fallen Up Ministries focus is on the recovery and transitional needs of inmates, felons and addicts. Kim is a member of the Mat-Su Valley Opioid Task Force and served on the Governor’s Statewide Opiate Task Force in 2016, at the appointment of the Mat-Su Health Foundation. In 2017 Ms. Zello completed training from The McShin Foundation Leadership Training Institute: Peer Addiction Recovery Training on Substance Use Disorders and Basic Recovery Coach and Peer Leader Skills. Kim and the President of Fallen Up Ministries, Terria Walters, were instrumental in initializing discussions that led to the 2017 building of the new Ernie Turner Drug/Alcohol Rehabilitation Center on Eklutna Lake Rd. Kim has prior experience in the Real Estate industry and is familiar with Commercial, Residential and Property Management. She currently resides in Palmer and enjoys horses, dip net fishing, and advocacy work. Curtis McQueen became the Chief Executive Officer of Eklutna, Inc. on Oct. 1, 2007. He joined the Eklutna family in February 2005 as the Communications and Shareholder Relations Manager. Eklutna Incorporated is the Alaska Native Village Corporation for Anchorage and the Mat-Su Borough. They are the Largest Private Land Owner in both communities. Among his many responsibilities, Curtis directs and facilitates all Corporate Communications, Public Relations and Shareholder Relations on behalf of Eklutna, Inc. Curtis sets, guides, and drives company strategies; leads the Executive team and business operations, community involvement, and legal and financial matters; proactively seeks and recommends areas for new business development, investments, and operation and financial improvement. Assist Board in developing and monitoring corporate policy, oversees all subsidiaries, including 8(a), real estate, natural resources, and construction. Has financial responsibility for all aspects of the company. Curtis was formally adopted by the Eklutna People “the Dena’ina” at the 2016 Pow wow. Curtis brings a combination of postsecondary education and 32+ years of business, business development, communications, project and construction management, administrative management and governmental affairs experience and has worked extensively in the Native community. Curtis attended Gateway Community College in Tempe & Phoenix, AZ from 1987-1989 and the University of Alaska Southeast 1990-1991. Curtis continues his management education through many executive courses including through The American Management Association. From 1989-1994 Curtis worked for (2)-two Governors, Governor Steve Cowper & Governor Wally Hickel with the Department of Transportation & Public Facilities and the Department of Natural Resources. After his time with the State of Alaska, from 1994-1999 Curtis worked in Business Enterprise Development with his Tribe, Central Council Tlingit & Haida Indian Tribes of Alaska, directly reporting to its President Edward K. Thomas. Curtis represented and built many Butler Metal Buildings throughout Alaska for various National and Alaska corporations, redeploying a significant amount of those profits back into tribal programs. Curtis worked with Statewide Steel from 1999-2005 on major construction projects visible throughout the State of Alaska. In his current position Curtis has worked with Alaska Governors Sara Palin, Sean Parnell, and Bill Walker, Senators Mark Begich, Ted Stevens, Lisa Murkowski, and Dan Sullivan, Congressman Don Young, and Anchorage Mayors, Mark Begich, Dan Sullivan, and Ethan Berkowitz. Curtis also works with many current and past Alaska lawmakers in both the House and the Senate. Curtis is a Tlingit Indian from Southeast Alaska. Grandson of Raymond Paddock Sr., Son of Carol Paddock Jorgensen, and Son of Eugene C. McQueen from a military family, father was in the Diplomatic Corp. Assistant to several U.S. Ambassadors. Curtis and his family lived (2)-two to (3)-three year terms in Austria, Bolivia, Afghanistan, and some time in Pakistan including temporarily in other countries. Curtis spent the first (6)-six years in international schools. He is from the Eagle-Killer Whale Clan, is a Tlingit & Haida Indian Tribes of Alaska member, and is a Shareholder of Sealaska Corporation. According to the Eklutna, Inc. Bylaws, Article V, Section 1, officers need not be directors of the Corporation.